Simec Atlantis Energy announced that it has appointed Mr. Andy Richardson into the role of Chief Operating Officer at Simec Atlantis Energy. A press release from the global developer, owner and operator of sustainable energy projects with a diversified portfolio of more than 1,000 megawatts in various stages of development said that this will be a non-Board appointment. 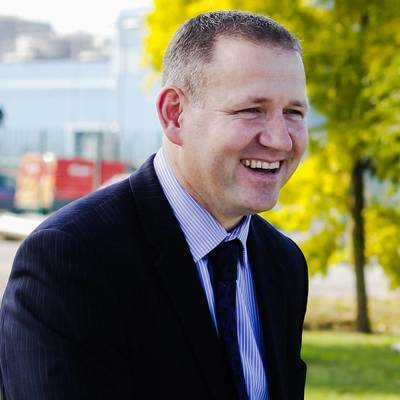 Andy is a senior figure in the global power generation sector, a Chartered Fellow, having formally held roles as Head of Asset Management and Engineering Manager at Alstom Power Service UK and Director Thermal Generation (4 GW Generation) at EDF. Andy moved on to become the Executive Director of Thermal & Renewables at EDF where he was a member of the Energy Branch Board with main Board responsibility for gas storage, onshore and offshore wind development (>0.5GW), biomass and thermal generation (5.4GW). Recently, Andy was the COO of Stanwell Corporation Limited in Australia, which is a diversified, vertically integrated energy company with a range of electricity generation assets: thermal, hydroelectric, water and fuel resources. Andy will join the senior management team based in London and will be responsible for asset management, portfolio optimisation and acquisition analysis.